As Pete would say, Modern Living Is Killing Me (it’s a song he wrote and Sadistic Chicken recorded). Weeks have gone by and I haven’t blogged what we’ve been up to – I just don’t get the time. So, in that time: We’ve had a good old listening session and criticised ourselves to pieces. And we’ve had an overdubbing session for Halfway There. I expect each song will have an overdubbing session of it’s own from now on, before we get to the mixing. We also came up with a stripped down version of Through These Eyes, I don’t know if that will surface at some point… Anyway, so long for now. 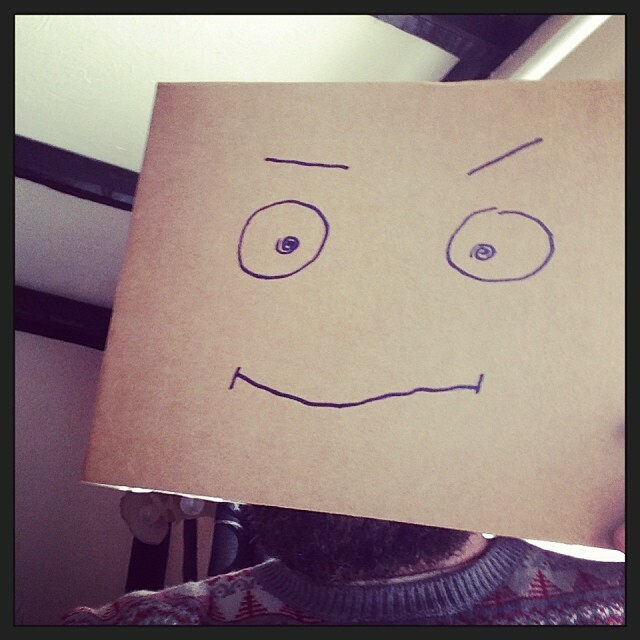 Here’s another picture of Stumpy Boxhead. This entry was posted in Flesh Reunion and tagged Flesh Reunion, Flesh Reunion 15, Flesh Reunion 16, Halfway There, HMD, HowManyDevils, Stumpy Boxhead, Through These Eyes. Bookmark the permalink.